Talking to others with misophonia, both on and offline, the thing that upsets me most is the sense of hopelessness that so many of us feel weighed down with. I understand this because I have misophonia and being caught in an ‘episode’ is torture. But at the same time I’ve always believed that there must be profound positives to having this condition. I’m not being all happy clappy here, I genuinely feel that something that can invoke such a fierce reaction in our brains must enable us to tap into, or benefit from creative energy in some other way. Synaesthesia is another sensory ‘disorder’. It’s where the stimulation of one sense can invoke a completely different second sensory experience. So for example numbers may be represented as colours, or certain sounds as smells. Synaesthesia was a condition that used to be misunderstood, feared even, but now a great deal more research has been done into the condition. We’ve since learned that some of the great authors, composers and artists of our time were almost certainly synesthetes, including Franz Liszt, Vladimir Nabokov, Vincent Van Gogh. Some more contemporary examples include Stevie Wonder, David Hockney and Apex Twin. These are people who’ve achieved incredible things and I’ve absolutely no doubt that this is in part due to the way they experience the world. Their sensory experience is very different from ‘ordinary’ people and it’s led to the creation of some incredibly beautiful and mesmerising works of genius. What’s all this got to do with misophonia? Well, misophonia is a sensory disorder as well. In fact some academics believe it’s related to synaesthesia. Whether or not that’s the case, it’s an incredibly powerful force that both overwhelms the senses and the thought process. Yes, having a misophonic episode is a brutal and negative experience – but what about outside of these moments? What about when we’re not being exposed to an episode? I believe we experience the world through our misophonia shaped senses and that as we learn more about the condition we’ll discover that we possess unique and valuable abilities, as well as negative ones. I intend to conduct as many surveys and analyse as much research as I can on Allergic to Sound to unearth these. 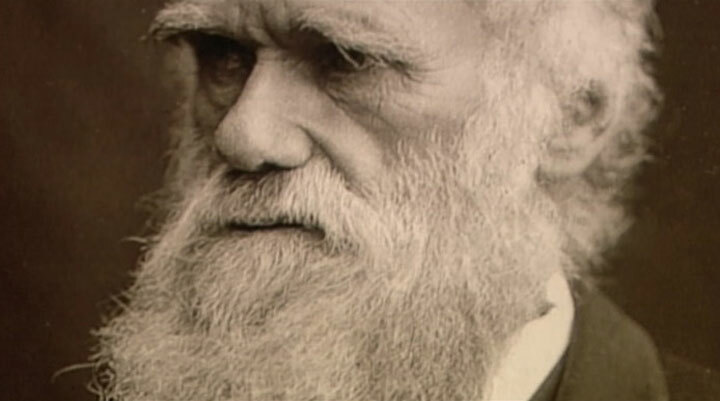 Did you know Darwin almost certainly had misophonia? This is the man who almost singlehandedly changed the way (most of us) view the world today. This is a mind of unparalleled genius and guess what… he constantly complained of too much noise when he was working. 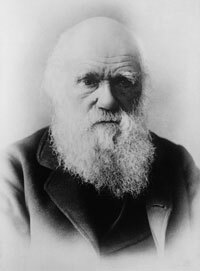 Yet there was something about his mind, when he could find quiet, that enabled him to conceive of something so extraordinary, so revolutionary and outside of conventional thinking that he formulated his theory of evolution. This was a feat akin to trying to convince people that the world wasn’t flat. 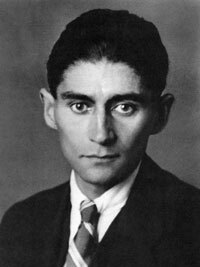 Franz Kafka is widely regarded as one of the most influential authors of the 20th century. He famously once wrote: “I need solitude for my writing; not “like a hermit” – that wouldn’t be enough – but like a dead man.” Anyone with misophonia can relate to that. Kafka penned Die Verwandlung (Meditation) and Betrachtung (The Metamorphosis). It’s interesting to note that many of his works portray a sense of conflict and alienation. 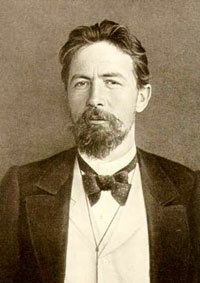 Anton Chekhov was an internationally renowned author (as well as physician and playwright and misophone). Like all our celebrity misophones, he found it incredibly difficult to filter out noise. Two of his most famous works include: The Huntsman and Uncle Vanya. Chekhov made innovations in writing that have changed the way we think of the think of the modern short story and he greatly influenced James Joyce. Then there’s Marcel Proust, the French novelist – thought of by some to be one of the greatest authors of all time. 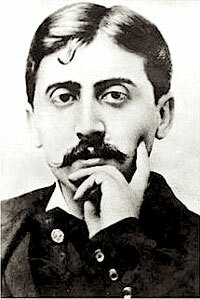 Among other works, Proust wrote The Prisoner, Sodom and Gomorrah and Time Regained. Proust actually went so far as to cover his bedroom walls with cork to try to block out any outside sound. Just to make sure he’d also wear a set of earplugs while he worked. I’m willing to bet that everyone reading this, who also suffers from misophonia, has also looked into sound proofing at some point. 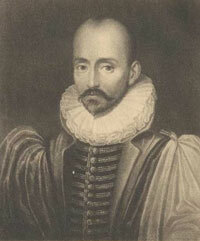 Montaigne is a 16th century French philosopher credited with writing some of the most influential essays ever written. I’m convinced this is just the tip of the iceberg and that as we look further into the condition we’ll discover that more great minds in our past and present were and are afflicted with misophonia. There’s already mounting evidence to suggest that misophones may be more prone to creative talent. The challenge now is to find ways of coping and dealing with the condition while tapping into the unique creative possibilities. When you’re not locked in a misophonic episode have you noticed any differing abilities or traits? Please leave a comment below, I’d love to hear your thoughts. I learned of this condition today from a friend’s posting of it, and was actually quite relieved to know of it. I have spent a lifetime so annoyed by human sounds, and craving siilence, the silence that nature offers. I am especially bothered by the sound of someone eating cereal, potato chips etc., and especially at loud sounds when in creative mode. As I ponder all this, I am also sensitive to smells. I have always leaned toward creativity, playing violin since the age of eight, I paint in a variety of mediums, have created art quilts, and have an extensive library, focusing on non fiction almost exclusively. I have a deep desire to know about the world around me, but crave solitude far beyond my comprehension. I have always thought something was terribly wrong with me, as I often have to leave a room to get away from certain human sounds. By the way, I am never bothered by animal sounds. I am relieved to know there is a condition for this, and that it connects to my creativity and my extreme desire for solitude. Thanks for the comment Yvonne. Hoorah for creativity! That’s interesting yours ties in with smells as well. Ties in with the idea that misophonia may be linked with other sensory disorders such as synaesthesia. I am the same way. I also kept as quiet as I could so that others wouldn’t think I was crazy. I am so lucky to have a husband who understands as much as he can. All the best to you and your future. I am writing a research paper about Misophonia since I have it and I’m hoping to cite this article in it, if that’s okay? Hi Alexandra, thanks for the comment. Sure, you’re very welcome to. I am a 55 year old man. I’m sat here with tears rolling down my face after reading this article. I thought my intense dislike of the sounds of eating was irrational behaviour unique to me. I’m very relieved to realise that I’m not alone. I also get extremely annoyed by people rustling or talking (even quietly) when I’m trying to listen to the radio or TV. My defence mechanism is usually to walk away….not always gracefully unfortunately! I can’t lay claim to any creative traits however I do have an enquiring mind. Melvyn, you’ll have me in tears as well! You’re not irrational, like myself and many of us on here you just have a ‘sensory processing disorder’ (or misophonia as it’s often called). I know it’s a curse at times but as I said in the article I truly believe – if you can look past the negative bits and find coping mechanisms – that it allows us to see and experience the world in a unique way. I have had sensory issues my entire life, and it has created a lot of anxiety for me. Finding this page has been a real relief for me, as I just assumed it was yet another over sensitive quality of many that I’ve got. I see colors differently, smell things others cannot, and I am looking into working from home as my sensorially different ways are super exhausting to me. I am glad to see that a group is forming here. I use ear plugs a lot, and I use noise cancelling headphones as well. It’s reassuring to note that some creative people in history have had the same troubles. My family just thinks I am a troubled person, love able, but too sensitive to a fault. Thank you for this site. I will return! Thank you. Thanks for you lovely words Tory. If you can work from home from time to time, I’d say grab the opportunity with both hands. I just realized my extreme sensitivity to perfume may have something to do with my miso. I always thought my problem was only noises. I have misophonia and am also extremely sensitive to smells. I did not realize the two were related. The tendency to them must also be genetic. I remember that my father did not like his wife or daughters to wear perfume. My mother was very irritated by sounds. I only recently discovered there is a name to the extreme irritation caused some of us by chewing sounds. Maybe my sister will now understand why, when we were riding (trapped, it seemed to me) in a train compartment in which a woman was smacking gum and chewing with her mouth open, I exploded and told the woman to stop chewing so loudly. Thank you so much for writing this article! Love the positive side! 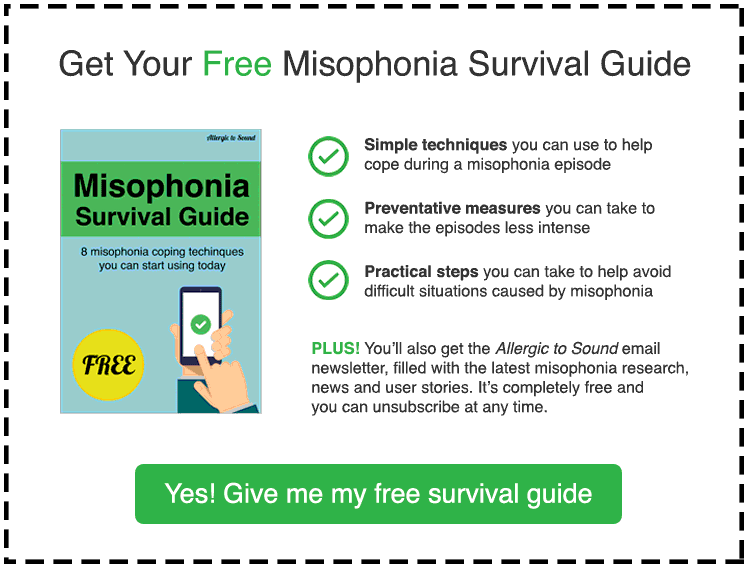 I’m 60 and have just recently come to a happy and fulfilling life with misophonia. It took 60 years of fk’g up to get here! Re creativity, I remember having to write a 50 page book in 6th grade, in the early 1960’s. Mine was called ‘The Magic Ring’ about time travel via wearing the ring. This concept was unheard of then but since then it’s popularity is common in tv, books, movies. I also made Peter Max posters before he did. Darn, could have been a millionaire. I’ve also noticed life long that I have a natural capacity for more bliss than others, hearing music, watching a sunset, etc. I also have always seen intricate details of life and reasons for human behavior that others don’t. Finally the biggest gift is my personal inner divine light that I discovered through meditation as a way to find peace due to the misophonia caused solitary life. Thank you again for this divine article! Hi Holly, ‘The Magic Ring’ sounds awesome! Here’s to you and another 60 years of ‘fk’ing up’ with style – it’s the only way to live. Thank you for your lovely comment. Have always been like that and just discovered that term two days ago. I am a writer 🙂 I find it most annoying when I’m going to the cinema or theatre as people’s noises draw me out of the performance. I suffer so much of it. Have you found any tips to cope with it? Hi Margot, you’re a writer, fantastic! From my experience, if you really need to focus/concentrate on a piece then your best bet is not to try and battle on in a noisy/trigger environment. Your stress (or cortisone) levels will increase, as will your sensitivity to sound and it’ll only make it worse. Try to find a quiet room or space, or if that’s difficult get a good set of headphones. During meal times try have some background sound on, whether it’s music or even the television. Those are the tips that work best for me. I also know that some people have had a degree of success with white noise generators. I’m afraid I can’t help you with the cinema scenario – the kryptonite of all misophones! It seems, reading other comments that there is a sensitivity to us that those around us don’t understand, and often criticize us for having. It is sad in a way that we had to grow older not knowing why we were “different” from others, prefering to be alone with our thoughts and in nature. The sounds in nature never bother me, sadly those of the people around me do. I hope to learn more about this condition, and reading of others experiences helps immensely. Thank you for this information. This article has made me legitimately happy, Im so glad to know some of the most influential people have misophonia too!! Great! Hold your magical, misophonic head up high, Grace. We have hidden superpowers. Hello, I jokingly referred to my issue with listening to music at work as allergy to music, went online and found you! If the faucet drips I’ll wake up with a headache… My fridge is noisy. I wake up so many times at night but when I turned it off at night I forgot to turn it back on and ruined the food… But the worse problem I have is at work and when I’m concentrating on my work (trying to think) and there is music or a monotonous sound of a noisy fan… When it’s very busy and there’s music – I don’t really hear the music but when it’s quiet and the music is soft it’s as if the speaker is an inch of my ears. My coworkers complain that they can’t hear anything but to me it’s so loud I get a migraine from that. I went to ENT and my hearing is normal. The doctor thinks it’s fear of knowing the migraine is coming. Hi Segal, yes your mind zones in on that sound and it can feel as if it’s so close that it’s almost inside your head. I’ve personally never suffered from headaches or migraines as a result, but it would be interesting to hear if others had. I’ve seen an ENT specialist and audiologist too and they also found my hearing to be completely normal, although they did find I had hyperacusis – a hyper sensitivity to loud noise. She also said, after hearing what I said, that I had misophonia – although it’s not something they’re able to officially diagnose yet. I think trying to convince others who don’t have selective sound sensitivity (and I totally understand where you’re coming from) may make the situation worse. They won’t be able to identify with it and it may just raise your stress levels and anxiety – which in turn intensifies the strength of an episode. It’s a very difficult balancing act! If you are able to wear headphones or work in a private area when you need to focus, it could help significantly. I am so happy to have found this website. For most of my life I have thought I was going crazy because little noises have always bothered me. I was a teacher and in the classroom it was so difficult to have patience. I demanded silence, one voice at a time, no incessant tapping or anything which was not supposed to be! I am now retired and still have this sensitivity and try to avoid many social situations. People who chew gum loudly and my husband’s breathing late into the night aggravate me. The refrigerator and a dripping faucet will annoy me. I lay awake late into the night. If I get a good night’s sleep it’s because I have exhausted myself! I also am an artist and prefer complete silence to paint, read or write. Heaven help me! Hello Lindy, thank you for your comment. I can identify with all of those things. I’m a writer and designer, amongst other things, and like you I find I need complete and utter silence (and lack of peripheral movement) to work. Sometimes the night is our friend in this regard! I have always had a creative side whether it be art, poetry, music or other outlets. Dealing with misophonia for most of my life has been a struggle and still is. I am 53 years old. I just found out two years ago the name of this condition. My cousin posted the condition on Facebook and then I found the support groups there. I always felt alone with the condition and it was uplifting to find that many others also suffer. Not that I would wish this on anyone else. Thank you for this informative article that gives us some hope for a positive side to misophonia. Hi Steve, thank you for your comment. That’s very interesting. Maybe I should create a section on this site where we can share our creative misophonic endeavours. Nice to know we aren’t alone. When I was young my mother used to make me feel so alienated because she had Mesophonia. I couldn’t eat near her, chew gum, or even have a balloon. My grandfather (tested genius) had it too. Heaven help you if you had hiccups. But now that I’m in my forties I have it. I can not stand chewing of any kind. No slurping. I have large filters going so I can sleep. I still hear every little sound over them. I play music so loud at work I’m worried I’ll damage my hearing. My coworkers eat chips constantly. Smells bother me too, especially burgers and fries. Why do people eat in small offices? Anyway I’m very artistic and so is my mother. Paint, sculpture, carving, sewing. We both prefer classical music. We are very empathetic people. Loners when we are allowed to be. Very interesting to see the similarities between others on here. Wish there was a cure. I’m miserable at work. I just read all of your stories and can relate as I’ve had misophonia since I was around 9 years old. I’ve always been creative whether it was drawing, singing, playing piano or trumpet. I also scored very high on a music test in high school that tested how good your ear is for music ie: if a note is flat or sharp, or identifying what notes are being played etc. I have had some relief from Neurofeedback sessions as it’s helped my overall mood which in turn helps decrease the intensity of my anger with triggers. But I still suffer and so does everyone around me unfortunately. Good to know there is an upside though! I am 14 and I have always had a problem with noises. Recently it has become impossible to even be in the same house as my family. I don’t have any excessive creativity but I have been told I am a very fluent poet. I also find math very easy, I see the numbers in an abstract way that no one else I have meet has, except for a freind, who also has misophonia. I believe that misophonia is good when you are not in a fit of rage. I’ve been a chorister for close to 60 years and love music. Recently for me it’s been one particular pitch on the recorder – very painful – I’ve even had to leave concerts. My DH likes a quieter environment than I do but I find that radio/music on helps with persistent ear worms which also can be very upsetting. Everything in balance I guess. My 18 year old some developed Misophonia around the age of 15. He also has Tourette Syndrome but the Misophonia is more upsetting for him. Its difficult for him to be around others and enjoy a movie at the theater. He is a super creative person. He is an artist of different mediums and has taught himself how to play guitar. He is a very kind & gentle person but I see his face change during an episode. I can see the rage. Then later he is sad because he hates the feeling of rage. It makes me so sad that there is no cure. Im desperate to help him. As a psychotherapist who has worked with hundreds of misophones, I agree there is a creative flip side. It seems to me that most people with this condition are extremely intelligent, and have other creative strengths such as music, art, writing, athletics, etc. They are often perfectionists with OCD tendencies, which means they also have an eye for detail which can be extremely useful in a number of professional endeavors. I think the challenge is to learn how to manage reactivity and stress, and then develop whatever strengths of the person has, so that more possibilities are open to succeeding in many ways, as the people in your article are able to do. Thank you for this article. There is comfort in knowing that I am not alone. I have actually incorporated all of the coping strategies into my daily routine, especially the ear plugs and white noise. I avoid the theater and airplanes like the plague! I am a reading specialist and have developed a product to help children read and write that I recently received a patent for and I am constantly thinking of new and better ways to do things. Thank you for this information I feel a hundred pounds lighter! Since finding out about this condition yesterday, I am both enormously relieved and obsessed with discovering everything possible about it. Today, I see that it is often present in individuals who are creative. Another huge relief. I was something of an artist as a child and continued in a career as a designer and specialty residential painter. Sometimes, I joked about being a creative engineer, because I can figure out the “how” in many areas, especially artistic. I used to play piano and guitar, and love writing. The reason I find relief in the discovery of this condition, is that I always mistrusted my creativity, felt I wasn’t good enough while at the same time feeling I was good enough. I wonder if this is related to the feelings of guilt and being crazy after episodes. I live in the US in New Jersey. If there are any studies in this area, I would be happy to contribute my experiences. Finding relief is so important. Thank you for the light on this. I guess I’ll add my name to the list! I always just chalked it up to being sensitive or just a little crazy or neurotic (hey, aren’t we all?). Certain sounds just trigger me – the crunch/snap of an apple (or carrots), the clicking of a keyboard. The slow and constant drip of a leaky faucet. The whine of an appliance motor. The sound of somebody filing their nails. The scraping of spoon against a bowl or plastic container. The rustling of a bag of chips. The clicking of a pen, or the tapping of a fingers on a desk/table, or even the creaking of a chair when somebody is bouncing their leg. The jingling of dog tags when the dog is scratching….or the sound of them licking themselves. So many things can distract me and it makes you feel crazy that you can’t get any work done because of these everyday sounds. Some days it doesn’t bother me at all and I’m able to get into a work zone and accomplish things, and other days I just sit at my desk and try to drown out the distractions with headphones or daydream to try and get my mind off the noises. Sometimes it goes from just a mind distraction that keeps me from focusing, while other times it almost feels like I’m having an anxiety or panic attack and I have to physically remove my self from the situation. To make matters worse, sometimes the sounds seem to be amplified or as if I’m hypersensitive to them – as in being able to hear typing or mouse clicking from somebody 20-30 feet away. I’m glad to have found this site to understand what I’ve been going through. If you’ve seen the movie “A Quiet Place” you’ll know that I would love to live in that world, where you will be eaten alive by an alien if you make a noise. Although chewing, clearing throats, etc are turn-offs for me, I’m most angered by repetitive and high pitched sounds. Such as sirens, backing-up alerts, dog barking, etc. Recently I’ve started hating a bird outside my window that appears to chirp insistently when another bird invades its tree. Currently I live in NYC and am moving to a smaller town, so I am hoping that at least some of these annoyances happen less frequently. Thanks.